NEW YORK -- Nearly 40,000 striking Verizon employees will return to work Wednesday after reaching a tentative contract agreement that includes 1,300 new call center jobs and nearly 11 percent in raises over four years but also makes health care plan changes to save the company money, the company and unions said Monday. The pact, subject to approval by union members, stands to end one of the largest strikes in the United States in recent years. Workers and Verizon Communications Inc. had reached an agreement in principle Friday but hadn't released details or a date for the workers' return. The strike began in mid-April. The Communications Workers of America and International Brotherhood of Electrical Workers unions, which both represent the strikers, called the deal a victory for American workers. "We are turning the tide from cutbacks against working people to building a stronger labor movement and strengthening the power of working Americans," Dennis G. Trainor, vice president of the union's District 1 in the Northeast, said in a statement. The IBEW said it protected American jobs amid concern about concern about work moving overseas. New York-based Verizon Communications Inc. said it was a good deal for workers, customers and the telecom giant alike. "This will allow our business to be more flexible and competitive," chief administrative officer Marc Reed said in a statement. Union members will vote on the deal after returning to work. Besides the raises and new call center jobs, the tentative agreement includes $1,250 in signing bonuses and health care reimbursements for new workers, a 25 percent increase in the number of unionized crews maintaining Verizon's utility poles in New York state, and three 1 percent increases in pensions, which Verizon had proposed to freeze, the CWA said. It also includes a first-ever contract for wireless retail store workers, affecting 70. 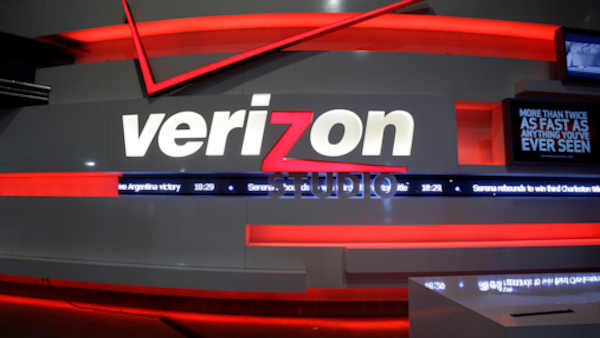 The deal also entails changes that Verizon says will save significant money, such as adopting Medicare Advantage plans - private health insurance contracted with the government-sponsored Medicare program - rather than costlier insurance. The tentative agreement also increases flexibility to route customer service calls from one call center to another, the company said. Installers, customer service employees, repairmen and other landline and cable workers in nine Eastern states and Washington, D.C., have worked without a contract since August. During the strike, other workers have stepped in, but there were some delays in installations of Verizon's Fios fiber-optic service. The unions said they were striking because Verizon wanted to freeze pensions, make layoffs easier and rely more on contract workers. Verizon said it had high health care costs for its unionized workers, a group that has shrunk as Verizon sold off large chunks of its wireline unit and focused on its mobile business, which was not unionized. It also wanted the union workers, around one-fifth of its U.S. workforce, to agree to move around to different regions when needed, which the union opposed. The strike made its way into the presidential campaign. Democratic front-runner Hillary Clinton visited strikers outside a Verizon store in midtown Manhattan, and rival Bernie Sanders cheered workers on a picket line in Brooklyn. But the walkout was also complicated by allegations that strikers in Delaware intimidated and harassed non-union replacement workers. Union locals said any problems were isolated incidents not sanctioned by labor leaders; a Delaware judge said Thursday he felt the unions had "a causal role" but declined a Verizon request to hold them in contempt of a court order on permissible strike activities. Verizon workers last went on strike in August 2011, when about 45,000 were off the job for about two weeks.